After graduating from the College of Charleston I spent a year working as a freelance technical writer for a tiny local firm in Charleston. In addition to writing training manuals for Mechanical Engineers and Property Managers, I had the opportunity to build some websites. The firm president loved the websites but was less than impressed with my technical writing prowess. She told me that my technical writing wasn’t dry enough, and that I should consider pursuing a more creative career. Then she told me that she didn’t have any more writing contracts for me. And thus I began looking at graduate schools. Originally I was debating between programs for Fine Arts and programs for Computer Science. 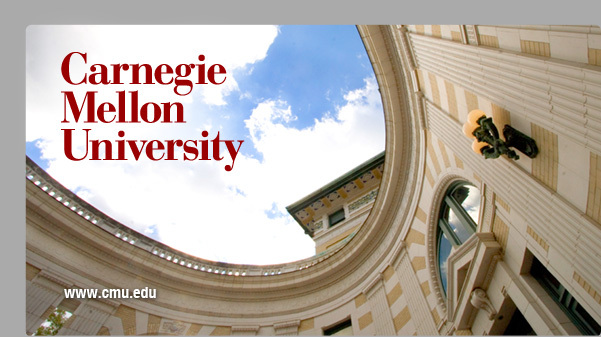 At the request of family in Pittsburgh, I took a look at Carnegie Mellon. Low and behold, they offered a program that was a joint offering from the School of Fine Arts and the School of Computer Science. 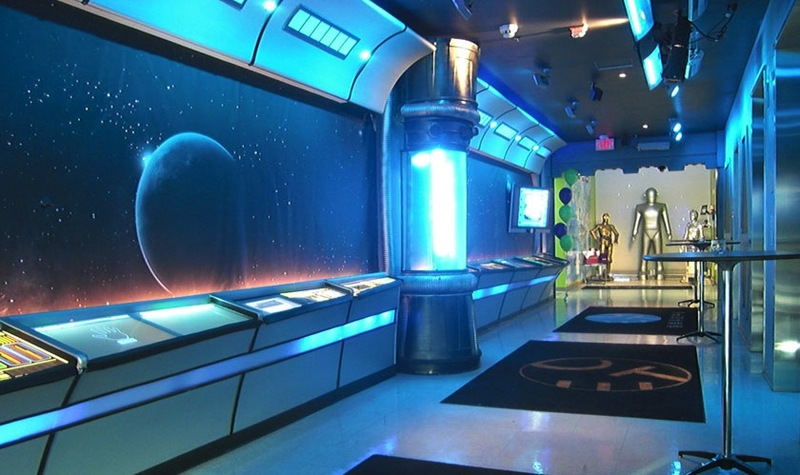 They taught students to make things like video games, computer animations, theme park attractions, immersive museum exhibits and all kinds of other interactive experiences. I hadn’t ever considered these as possible career choices. It never occurred to me that people had jobs where they got paid to make these kinds of things. I was sold. I packed my bags for Pittsburgh and the Entertainment Technology Center (ETC) at Carnegie Mellon University. My time at the ETC was without a doubt the most fun I’ve ever had. My education there was a blank canvas, just waiting for me to fill it in with all manner of creative endeavors. The ETC’s philosophy is that entertainment is a combination of right brain and left brain thinking. This means that you need both the free-spirited, creative side as well as the analytical, calculating, math-doing side to end up with a good product. They accomplish this mesh by focusing almost entirely on group work. They bring together students from all walks of life, from all over the world, and with all types of skills. Then they put them in tiny rooms together and ask them to create interactive experiences that will blow minds. This is a formula that was originally conceived of by the late Dr Randy Pausch of Last Lecture fame ( I was actually fortunate enough to attend the Last Lecture in person). It’s a surprisingly effective formula. The focus was always on the final product. We almost never spent class time learning technical skills. Learning the technical chops necessary to finish your project was part and parcel of the project. There was a vibrant community of students available for support. Classes were generally opportunities to present our work and critique the work of others. We were taught that the presentation can be almost as important (if not MORE important) as the final result. And I loved every minute of it. You get out of things what you put into them. We lived at school at the ETC. Twelve or fourteen hour days, six or seven days a week were the norm. But the time we spent working and the rewards we got from a job well done were so rich that we didn’t even miss having a social life. You can work together or fail individually (or the United We Stand clause). When doing group projects, you need to function as one unit, because that’s how the rest of the world will see you. Egos need to be put aside. There are no bonus points for being the best member of a team that produces a lousy product. It’s not what you know but what you can do. Grades served a very minor function at the ETC. Most of us didn’t know or even care what our GPA was. There was no valedictorian of our class. The real honor was in having a great portfolio. A living, breathing testament to all the blood and sweat and tears that you poured into your education. Ideas are cheap, execution is hard. We learned firsthand that some of the best sounding ideas can fall totally flat. And also that some concepts that seem laughable at the onset can be total showstoppers. It’s all about the delivery. Great ideas are wonderful, but if you don’t have the discipline to manifest them into something real, they aren’t worth much. Your harshest critics are often the people that care the most. During my time at the ETC, I had the great privilege of working closely with one of our adjunct faculty members, Mr Anthony Daniels. The same Anthony Daniels that played C3PO in all six Star Wars movies. In reality, Anthony Daniels is as grumpy and straight shooting as C3PO is a nervous, complaining wreck. He was certainly not afraid to tell you exactly what he thought about your work. He loved nothing more than to spend hours in our office, ripping our project to shreds. It wasn’t until our final presentation when he thoroughly congratulated us that I realized why he loved to criticize it so much. It was because he saw the potential and wanted to make sure we lived up to it. Check out the links below to see more details (and pictures! and videos!) about my work at CMU.